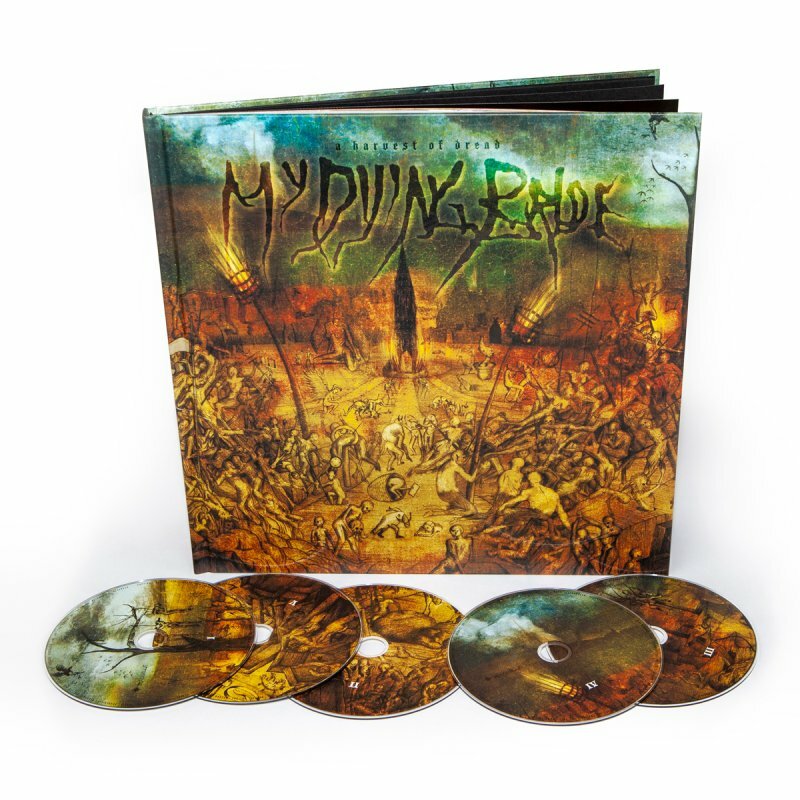 Peaceville, Marking almost three decades of My Dying Bride - A Harvest of Dread is a deluxe 12" 92 page hardback book 5-disc set celebrating the rise of the UK Doom Metal legends. The book features interviews with band members past and present plus others associated with the scene from the early 1990s to present day, giving a great insight into the nature of the sublime beast that is MDB. Containing 5 discs of rarities, early works, previously unheard pre-production demos, band favourites, and live audio. Among the essential historical treasures are pre-production tracks from The Angel And The Dark River and Like Gods of the Sun, plus vastly different development versions of tracks eventually featured on (or intended for) the 34.788%...Complete album, exhibiting a darker, and leaner sound. 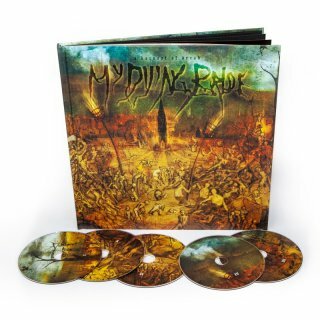 Also featured on the set are a collection of the early works of the band, including the Towards the Sinister demo, plus tracks from My Dying Bride's rare early 7" releases and EPs, and a previously unheard live concert recorded in 1997 during their tour with Cathedral and The Blood Divine. Joining these rarities are a special selection of catalogue tracks chosen by core members Aaron Stainthorpe and Andrew Craighan. The book includes their reflections on why each track holds a particular interest to them, and on the legacy of My Dying Bride. A Harvest of Dread also notably features a foreword by the legendary Tom G Warrior of Triptykon/Celtic Frost/Hellhammer fame.